A great boost, academically and personally! I am Edison Rama, I am currently on my last year of studies for getting my Bachelor’s degree of Computer Science in UBT College. 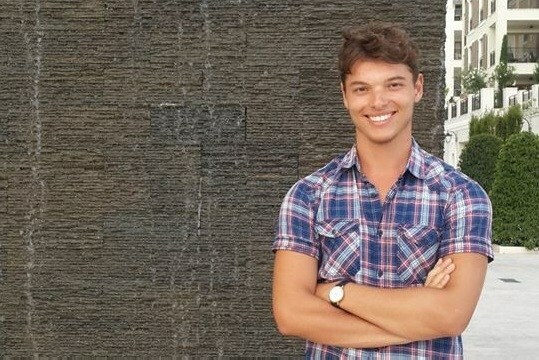 I wanted to write this blog to tell the young minds of Kosovo about IPKO Foundation and what being an IPKO Foundation scholar is really about. I had heard about IPKO Foundation before I applied for the scholarship, as the foundation which organized events in order to inform young students for the latest news in technology, a field that I am really passionate about. I’ve been a part of DOKU:TECH that was held in Prizren, where a lot of great minds came from different parts of the world to share their knowledge and also talk about opportunities that are available for tech enthusiasts of Kosova. It has been an amazing experience for me just listening and being able to get advice from successful businessmen, angel investors and entrepreneurs for future growth and development. Apart from DOKU:TECH IPKO Foundation also organizes BarCamps where young developers are united to share their stories of success and all the difficulties that they encountered during their journey, which is so important for people who are in the beginning of their career. Aside from lifting a part of the financial burden of my education, IPKO foundation gave me the opportunity to connect with other people, creating networks and opening doors to make a successful professional career. The scholarship has been a tremendous help and a boost in motivation for me, both academically and personally, and I would like to encourage all young and enthusiastic technology geeks to be a part of something great such as IPKO Foundation Community.